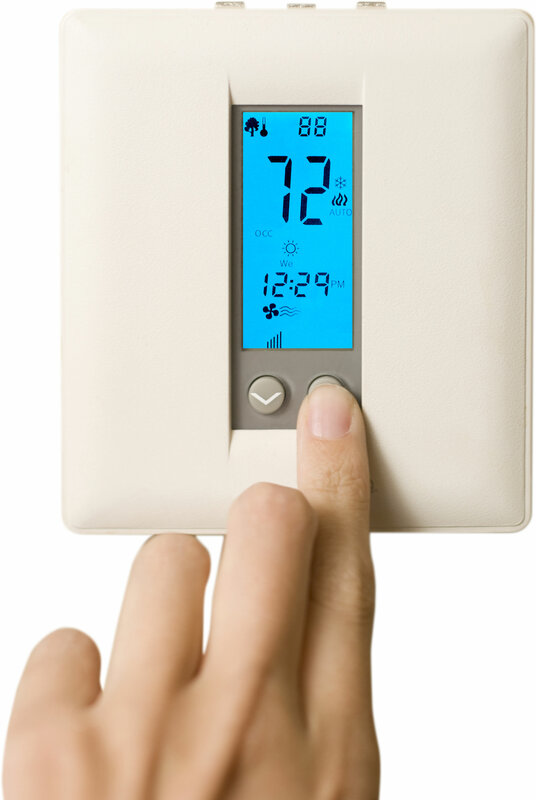 Smart Thermostats, WiFi Thermostats, Ethernet Thermostats. The UP32HE-WIFI thermostat includes humidification and dehumdifications control and the industry's most advanced Remote Sensor Bus with 6 remote sensor types and up to 11 total remote sensors, 2 digital inputs and an occupancy sensor input. Proudly Made in the USA. The UP32HE-WIFI thermostat is programmable communicating thermostat with connectivity as a WI-FI thermostat utilizing 802.11b/g technology. In conventional mode, the unit can control up to two (2) stages of air conditioning and up to two (2) stages of heating. In heat pump mode, the thermostat can control up to two (2) stages of air conditioning and up to three (3) stages of heat, including auxiliary heat and emergency heat, with electric or gas (dual fuel). Humidity control is integrated for all equipment types. Integrated weather reporting gives full 7-day forecasting and heat pump balance point control without the need for an outdoor sensor. With the UP32HE-WIFI, up to 11 total remote sensors of 6 different types can be wired to the thermostat's remote sensor bus, allowing sensing and monitoring of remote room temperature (up to 6 indoor sensors), outdoor, humidity, and up to 3 auxiliary sensors for supply air, return air, spare temperature (think walk in freezer or server room), and occupancy. Because the UP32HE-WIFI works with either the on-board humidity sensor or the remote NT-HUM humidity sensor, it's possible to monitor and control humidity in a remote location. Perfect for securing the thermostat in an enclosure and still controlling temperature and humidity in the space. The unit will work for the vast majority of the HVAC units in the marketplace. The UP32HE-WIFI thermostat is a great solution where humidity control and Event Scheduling is needed in the thermostat (programmable) along with powerful remote sensing. Rated A.C. Current: 0.05 to 0.75 Amp continuous, per output, surges to 3 Amps max. Rated D.C. Current: 0.05 to 0.75 Amp continuous, per output, surges to 3 Amps max. Wireless: 802.11 b/g radio. FCC certified. Since 1995, NetworkThermostat™ maintains the position of industry leader in providing Internet Thermostat solutions for facilities, small businesses, and commercial or light industrial applications. Our award winning products and technologies give simple, reliable HVAC controls, anywhere and anytime, to maximize energy savings while providing comfort to the occupants.